Hi! I’m Krysten, and I like to think that I care about Mother Nature. I go out of my way to recycle, but I also have a built-in dependence on plastic bags for storing and traveling purposes. In short, I'm far from a model citizen, but I think I can do a better job of showing love to our planet. So, when I recently stumbled across this TED Talk given by a woman who decided to rid her life of all plastic goods, I thought, "Whoa, that's kind of wild. I think I wanna try this?!" But what does it actually mean to live a plastic-free life? To get the scoop, I reached out Anne-Marie Bonneau, aka the Zero-Waste Chef, a blogger who's been living plastic-free since 2011. Bonneau up and quit plastic after learning about the planet's plastic pollution problem and has since transitioned to the zero-waste lifestyle. 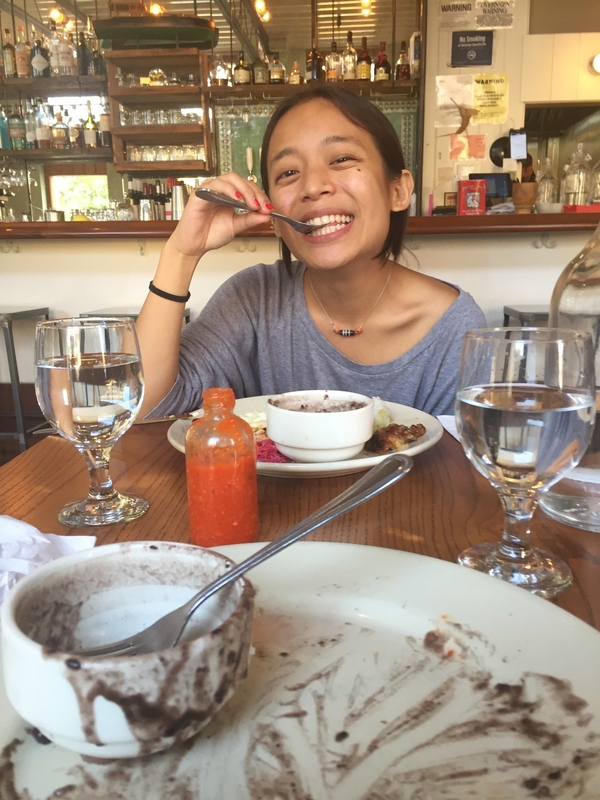 My main question for her was: If I wanted to try to go plastic-free, how should I think about food? 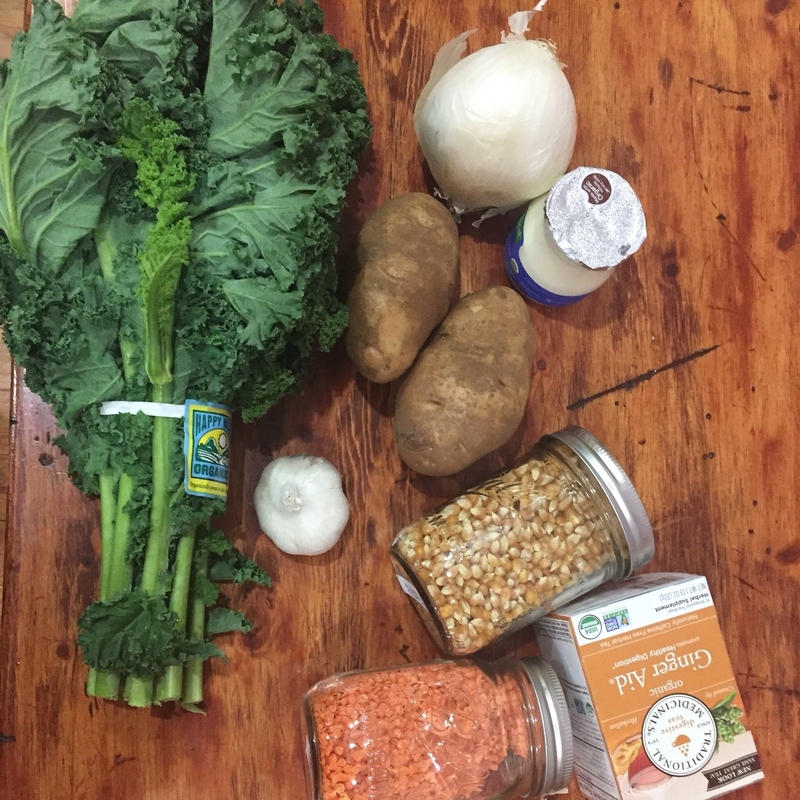 "When you go plastic-free, you cut out processed food. Almost all processed food— the stuff in the center aisles of the grocery store — is packaged in plastic," she told me. Her number one piece of advice? Shop on the perimeter of grocery stores, buy in bulk, and learn to cook. "When you cook, you cut the processed food. Do that and you’ll eliminate most of your plastic footprint." With all this in mind, I got to work and gave myself a few rules for the challenge. I'd aim to cut almost all plastic from my life for a week — minus a few important exceptions. I learned that one of the first steps to becoming plastic-free was to refuse single-use plastics or disposable items, such as: utensils, cups, straws, food packaging, coffee cups, water bottles, and plastic bags. 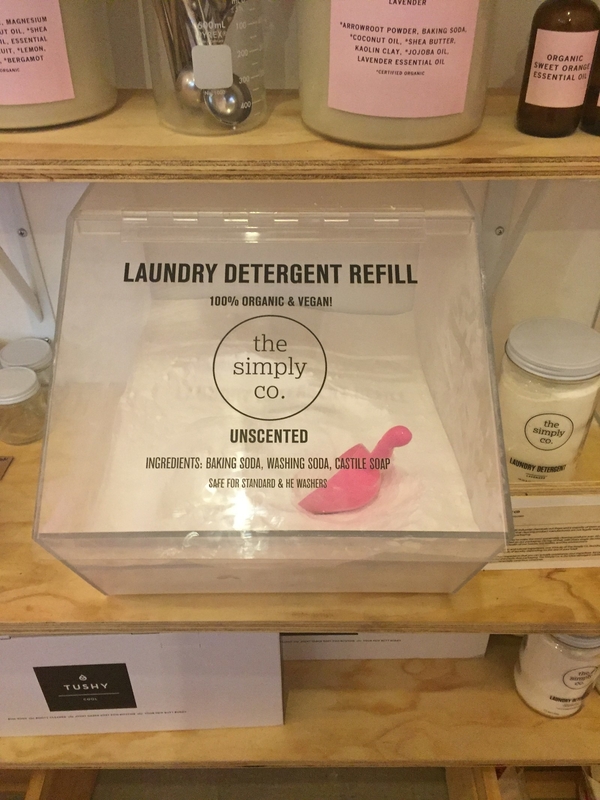 I also made it a point to try to find plastic-free alternatives to replace my personal care and household items. I categorized Items made with plastic like my phone, computer keyboard, medicine, and protective eyewear as "exceptions" since I'm not necessarily disposing of them. 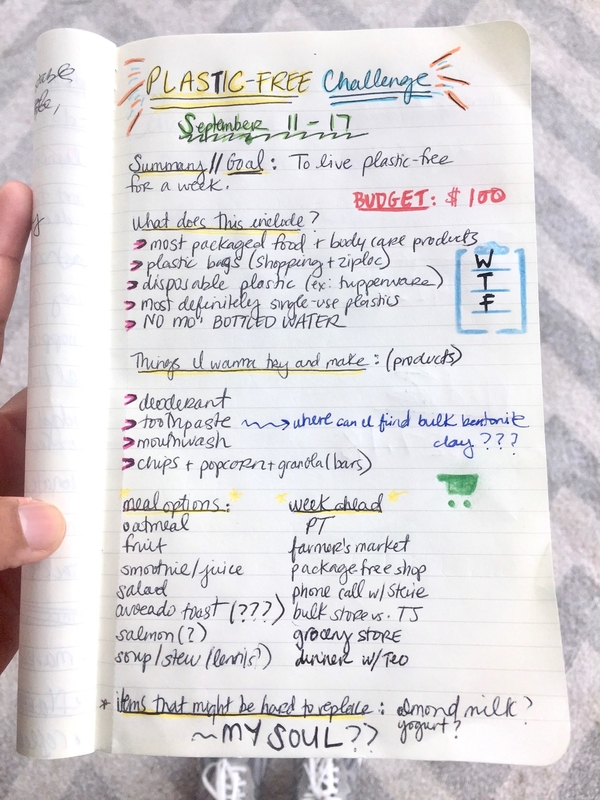 I started my quest to plastic-free nirvana by taking inventory of the amount of plastic I use and encounter during a normal week. The total number? A whopping 84 times, y'all. And that's only counting the products I used and consumed while at home and work. In the grand scheme of things, this number might seem minuscule — but it all adds up, especially since 8.3 billion metric tons of plastic created from 1950s to today is still in one way or another floating around our ecosystem. That said, I was ready to start. 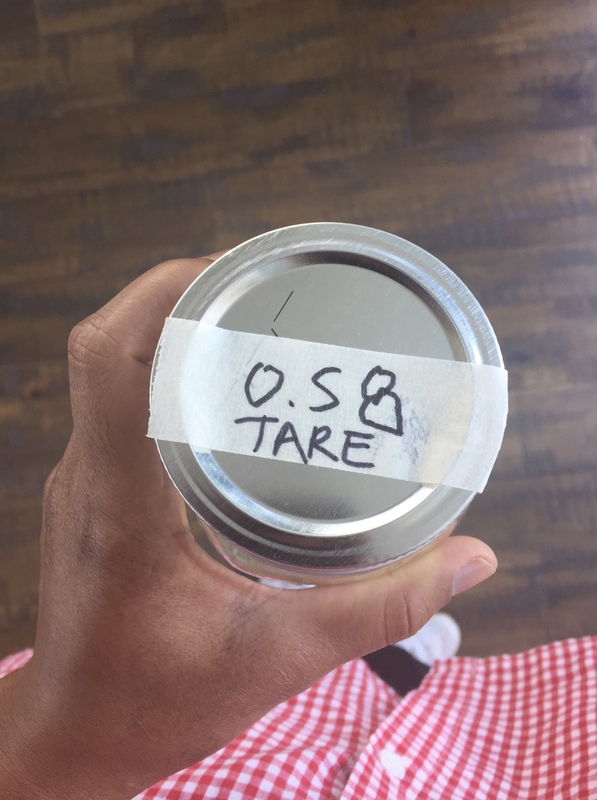 The day before the challenge, I made a quick grocery run and tried my hand at making some plastic alternatives — like homemade toothpaste. I made a quick trip to the grocery store to buy some cantaloupe for breakfast (it was on sale? 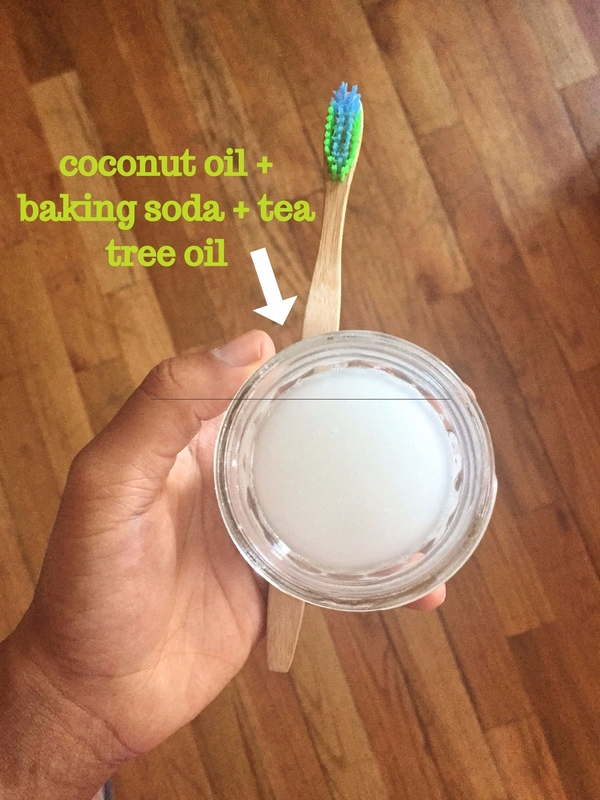 ), mason jars, plastic-free floss, and coconut oil and baking soda to make my own toothpaste following this recipe. Instead of using the essential oils listed in the recipe, I opted for the tea tree oil I already had in my bathroom cabinet. By the smell and liquidlike texture, I could already tell that this was going to have to involve some fake-it-till-you-make-it (to the end of the week 😭) imagination. And yes, that's a bamboo toothbrush. Even though there seems to be a lot of talk among the plastic-free community on the pros and cons of toothbrush alternatives, I figured it'd be a better option than your typical all-plastic one. On day one, I successfully prepped breakfast, dodged plastic traps at work, and faced the struggle that is plastic-free grocery shopping for dinner while hangry. A plastic-free morning? 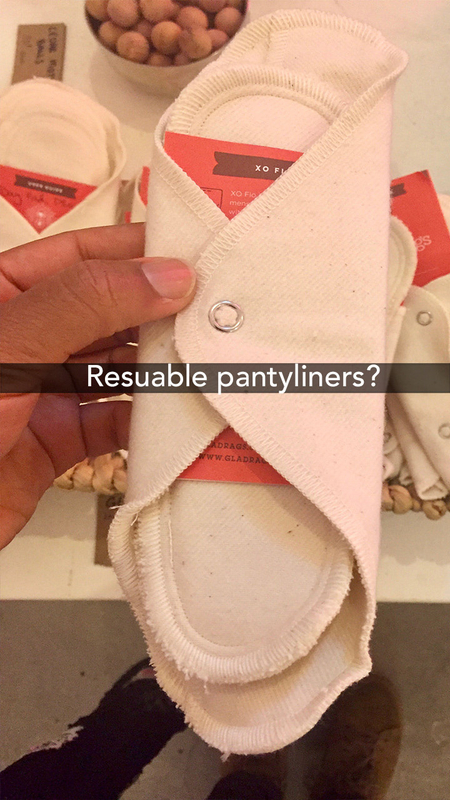 No worries, no problem — or so I thought. I stuck with my usual routine but with the new addition of my homemade toothpaste. I can't front: It felt like I was swishing melted butter around my mouth. 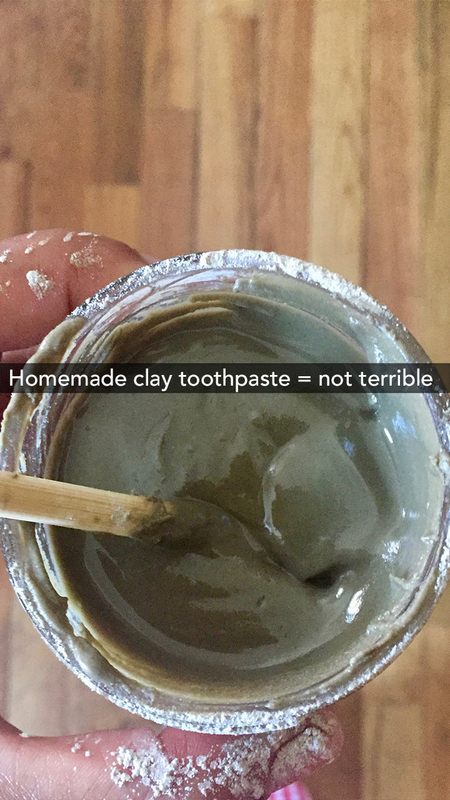 Per this recipe, I quickly added about 6 tablespoons of bentonite clay I had under the sink to the white blob, which instantly helped the texture overall. Not bad, not bad. 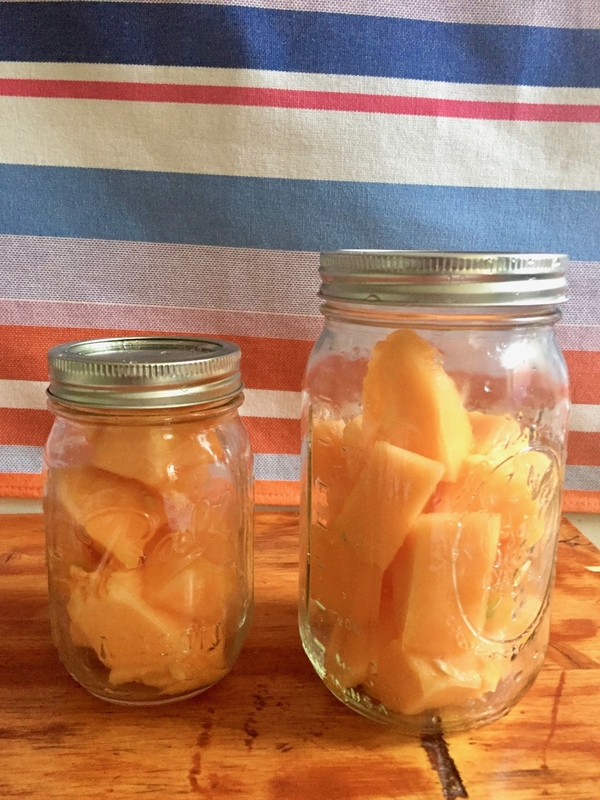 Breakfast was cut-up cantaloupe and a muffin from the farmers market. Lunch was catered by work and served on paper plates, but by the afternoon, I realized I congratulated myself way too early. 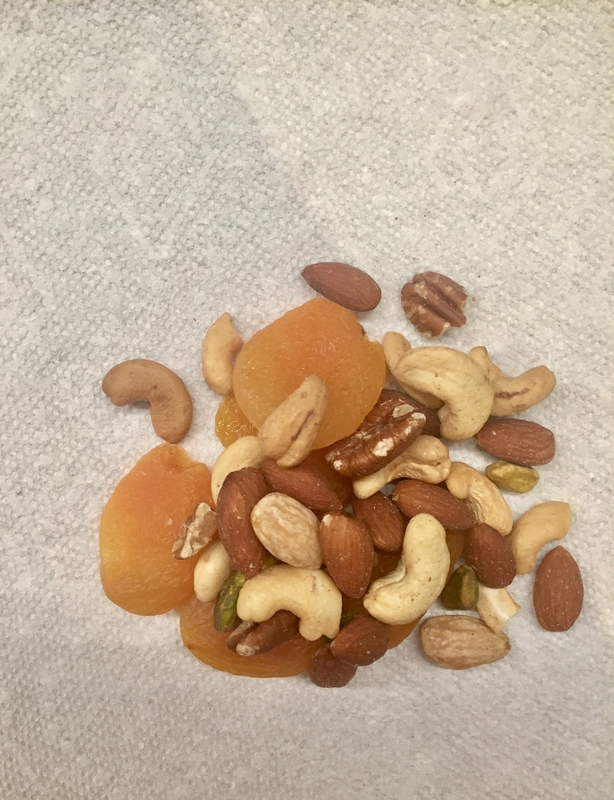 After a trip to BuzzFeed's snack section, I learned I was very unprepared for my late afternoon snack feast and had to opt for dried apricots and mixed nuts (#FirstWorldProblems) over chips or bars. Leaving work, I knew figuring out my dinner and shopping for the ingredients would be the biggest challenge of my day. 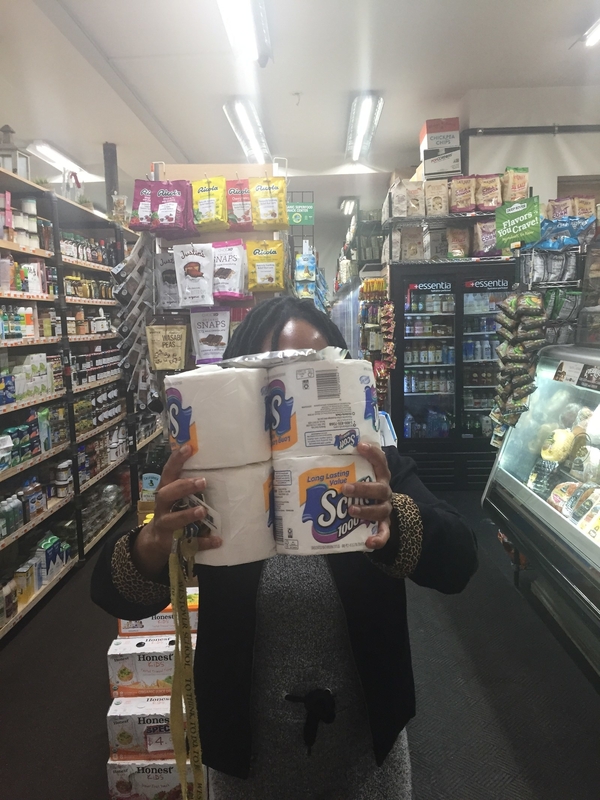 I felt hungry and flustered, especially when I had to come to terms with facing the ruthless crowds of evening time grocery shoppers in NYC. I figured Whole Foods would be my best bet since I'm familiar enough with the store to know they have both plastic-free produce and bulk options. When I arrived, I headed to the cashier to get the tare (or zeroed-out) weight of my mason jar before filling it up with the lentils. This makes it easier for the cashier to deduct the weight of the actual jar from the food inside the jar at checkout. To be honest, the whole process of weighing my jar and perusing the bulk section was surprisingly satisfying in a wow-look-at-me-a-conscious-consumer sort of way. Is it possible to live plastic-free without a tinge of smugness? TBD!! 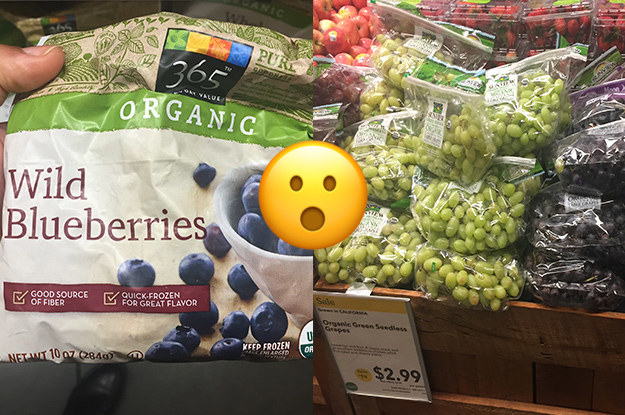 I strolled through the grocery store and took a moment of silence for all the plastic-covered produce and foods that were previously regulars in my shopping cart. I felt attacked. On the plus side, I managed to grab some bulk popcorn to cure my withdrawal from earlier that day. I also learned that tea bags have plastic (wtf? ), so I found a brand that is 100% plastic-free and compostable. Two hours and two stores later, I headed home with THE barest-looking of groceries and made dinner in time to eat at the *very* appropriate time of 11:15 p.m.
On day two, I had a morning bodega emergency, made a plastic-free faux pas, and visited an IRL plastic-free shopping utopia. I woke up to an empty container of toilet paper at my apartment. Since my roommates were still sleeping, this meant I had to venture down to the bodega and rescue the situation. 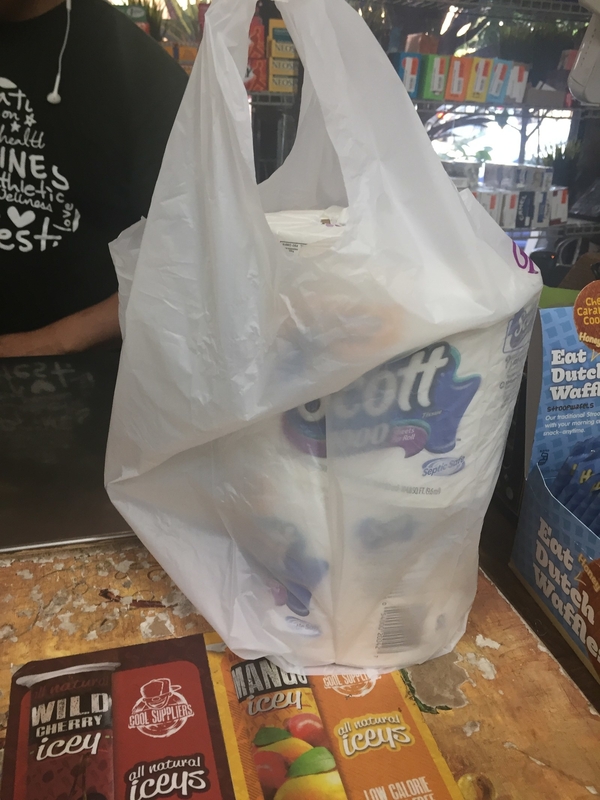 I usually grab a 6- or 12-pack but because they're wrapped in plastic, I had to opt for the good ol' Scotts single rolls — all five of them. 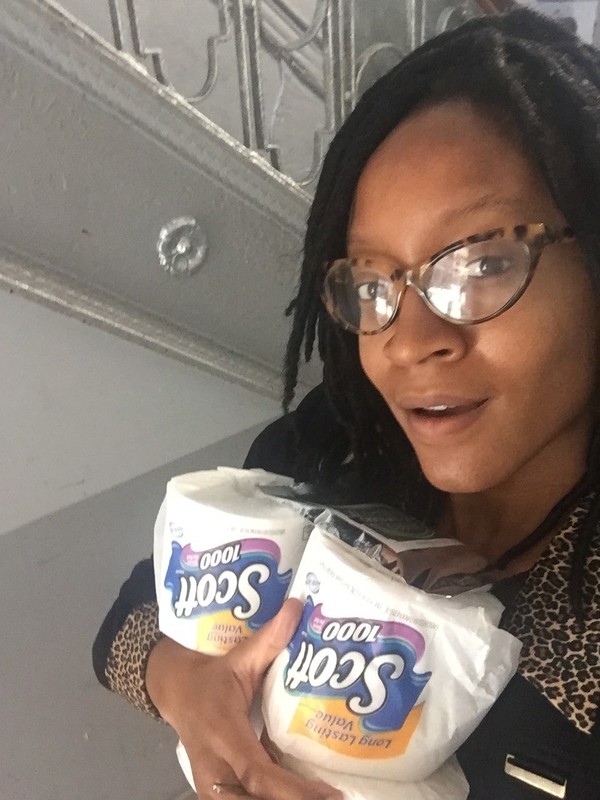 I almost left the store with the toilet paper in a plastic bag, until I realized my mistake and ended up carrying all five rolls in my arms, juggling to keep them from falling as I walked back to my apartment. At lunch, I accidentally ate my leftover soup with a plastic spoon (though it was compostable...so does this count?). My evil coworker Jesse handed it to me, smh. Well done, Jesse. Well done. In any case, today I came prepared with my stovetop popcorn and wow, wow, wow — it is infinitely better than packaged popcorn. So buttery (well, coconut oil–y) and salty and fresh. Definitely a win. 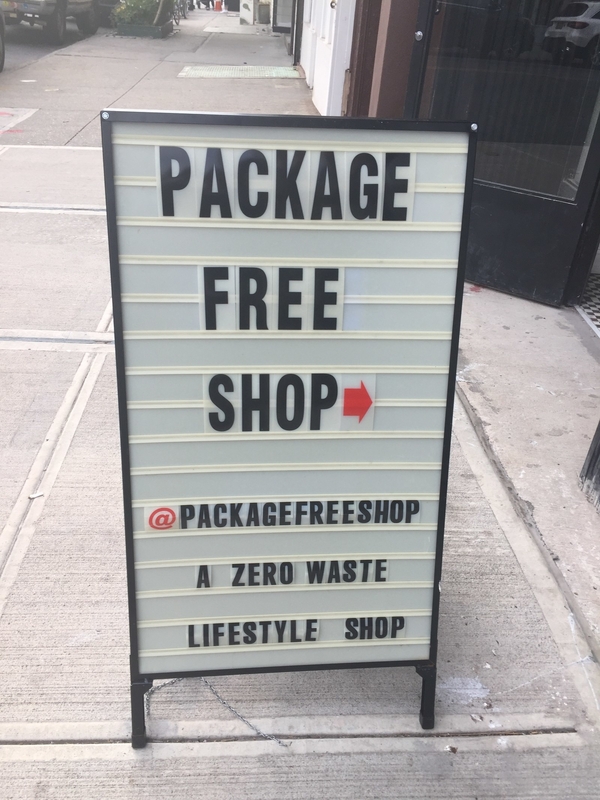 After work, I headed over to the Package-Free Shop, a zero-waste pop-up shop located in Williamsburg, Brooklyn. 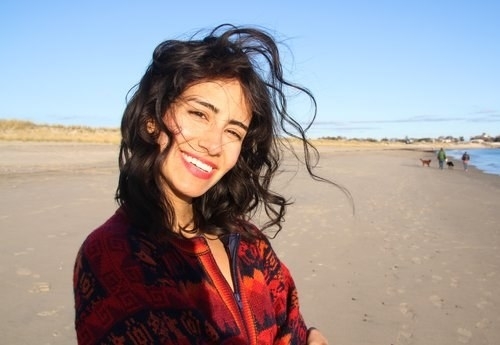 The shop was cofounded by zero-waste activist and entrepreneur Lauren Singer, who helped popularize the zero-waste movement through her blog Trash Is For Tossers. Singer and cofounder Daniel Silverstein started the shop to provide individuals looking to transition to a low-waste lifestyle with sustainable products offered all in one place. 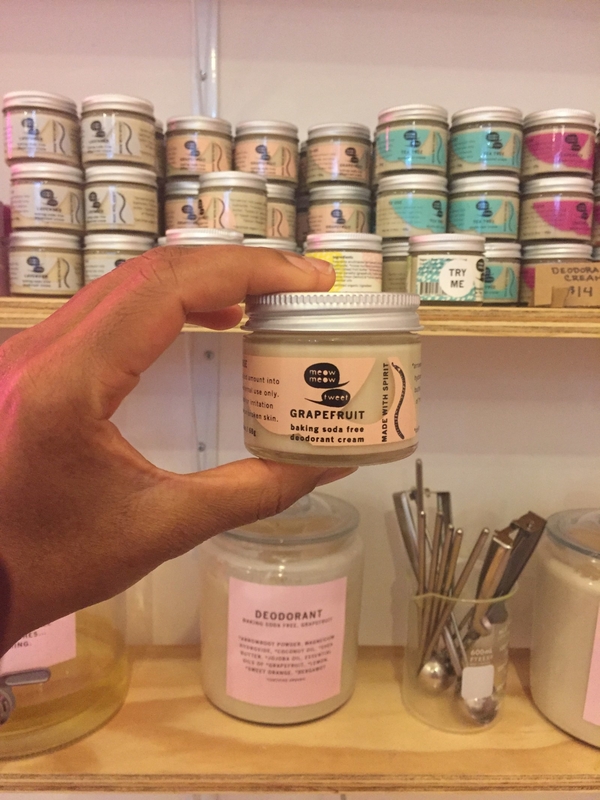 Real talk: My plan was to just find a viable plastic-free deodorant since I had been using shea butter until then and it wasn't cutting it. But I quickly got lost in the sauce of all the other odd-but-fascinating products the store sells. 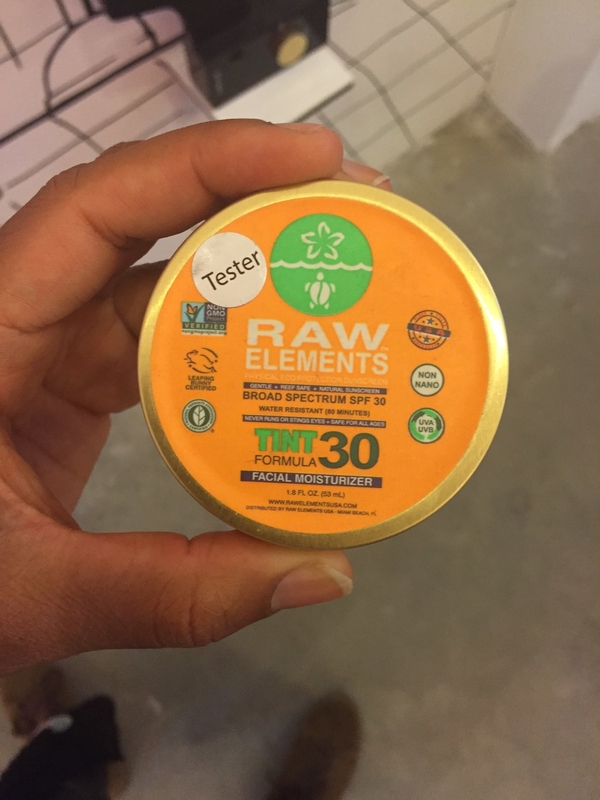 I left the store with a bomb grapefruit-scented deodorant and heightened curiosity about zero-waste living overall. The night ended on a much more ~chill~ note with a dinner at a taco spot where I didn't have to worry about plastic a single time. On day three, I was over my limited breakfast options — so I sought out advice from another ~expert~, and found that you can order plastic-free from a juice bar. I am a creature of habit when it comes to food, but I was kinda fed up with cantaloupe and its sidekick burnt popcorn. Whatever. I pretended it was as good as the previous day’s because there were no plastic-free options at home, and I didn't grocery shop with variety in mind. 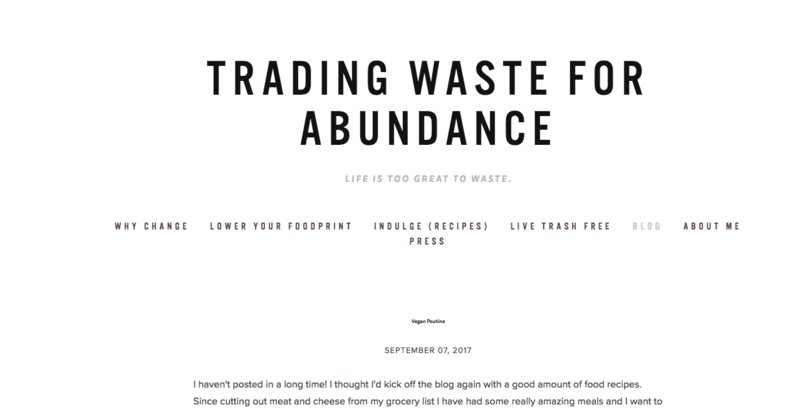 I wanted to learn more about how to live sustainably and mindfully while staying sane in NYC, so I spoke to sustainability activist Stevie Van Horn who runs the blog Trading Waste For Abundance. Stevie lives a zero-waste lifestyle, so I wanted to pick her brain about how she stays motivated, inspired, and within budget while living a ~mindful~ and environmentally responsible life as a millennial in New York City. After I whined for a bit about how these past few days have been somewhat stress-inducing, Stevie assures me that staying mindful is super hard in the beginning because you're trying to do the best you can while not making any mistakes. • It may be hard in the beginning, but "it's all about incremental change," she says. • It's important to practice mind over matter because changing habits doesn't happen overnight. I stopped by a juice spot expecting pity and rejection, but they nonchalantly agreed to use my glass jar instead of a plastic cup and straw. 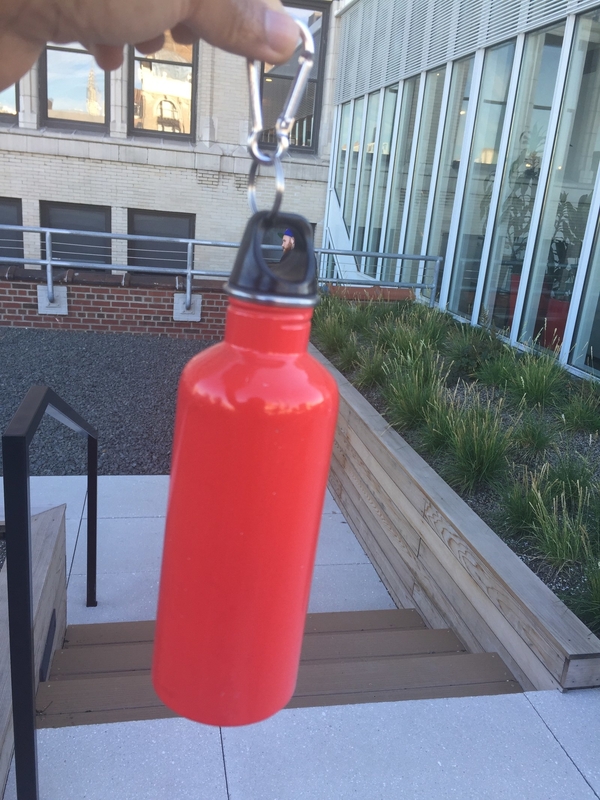 On day four, I tried to stay hydrated with my small reusable water bottle. 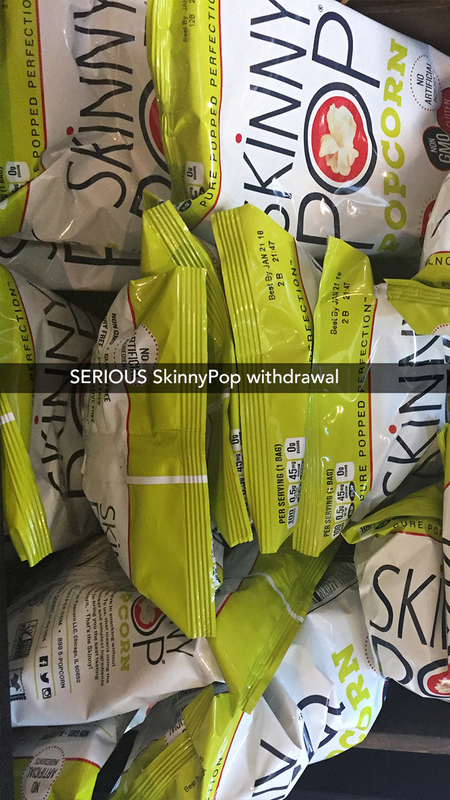 I also had a packaged plastic-free snack (it exists!). I had two doctor appointments today, which meant being on the go and susceptible to running out of water since my bottle is on the tiny side. 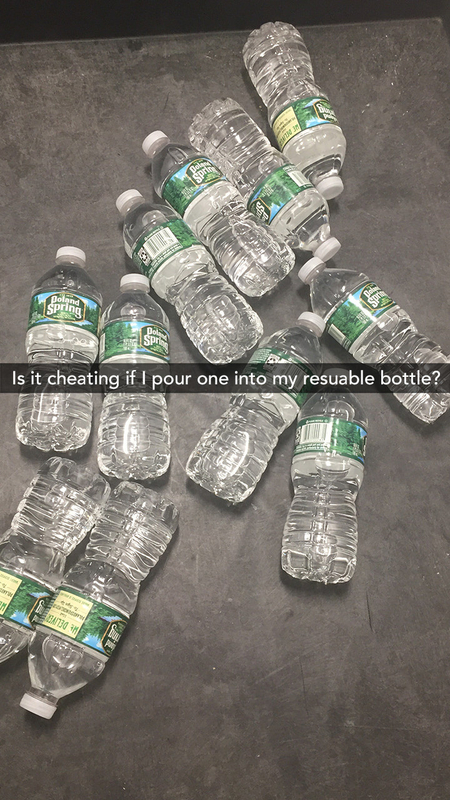 I was so tempted to take a water bottle from the office as backup. As suspected, I ran out of water within minutes of leaving the office. If I had the time and was severely desperate, I would've popped into a nearby deli, eatery, or store and beg them to refill my bottle with tap water. However, I've done this in the past and was rejected on the grounds that it's "unsanitary." Just when I thought I was seriously doomed for the rest of the day, I realized BuzzFeed added RXBARs to the kitchen's snack section — and they (apparently) don't have plastic in the packaging. To be sure, I actually called up RXBAR customer service hotline and was like "UM, is there like plastic in your packaging, lol?" to which the guy — who quickly let me know it was only his second day on the job — responded by placing me on hold until came back with a resounding, "Nope, no plastic." 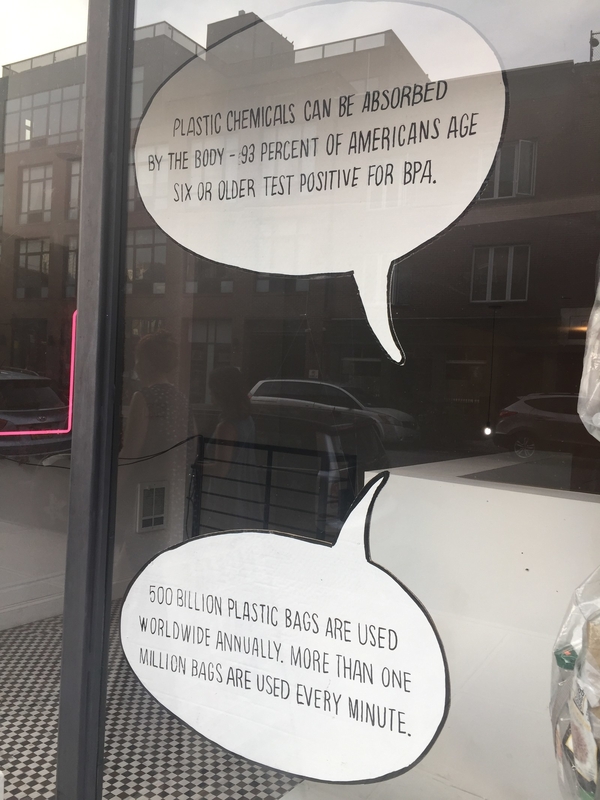 Honestly, that response left me like 🤔🤔🤔 (plastic is pretty much in everything, c'mon now), but I was too hungry and exhausted to question otherwise. I happily ripped open the package and inhaled the bar in true savage form. On day five, the final weekday of the challenge, I focused on making it through my Friday with as little plastic-related worry as possible. Today felt hardest food-wise since I was low on produce and thus didn’t have much food to prep and bring with me to work. The most important thing you need to know about my day today was that there was free pizza for lunch, so I succeeded against all 👏🏾plastic👏🏾odds👏🏾. Left work with a headache which spiraled into a full-blown migraine. Alas, my Friday night. Also, note to self: Never carelessly drop your bag when it's full of mason jars because your favorite one will break 😭. RIP Turmeric Sauerkraut — you were a real one. On day six, I made homemade potato chips, watched a documentary on plastic production and consumption, and cheated for the first time. 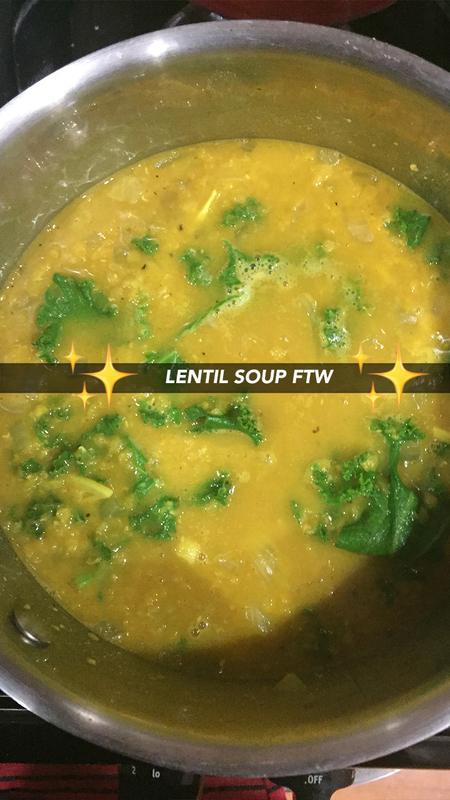 I had a slow start to my morning, but I decided right when waking up that I was going to prolong any grocery shopping as long as possible because it was the weekend.🙅🏿 Since all I had were two potatoes, I wanted to try my hand at making some homemade potato chips I peeped on Stevie’s blog. Verdict? They came out so well! Ok, no, they don't have the crunch factor of store-bought potato chips, but they were super flavorful and tasted more like baked fries, which is never a bad thing. Did I mention all I needed was two potatoes, some spices, and a bit of olive oil? Amazing. I came across the documentary Bag It and spent most of my afternoon watching this while eating the last of the chips. BUT UM, CAN WE TALK ABOUT THIS DOCUMENTARY? Watch it and weep for yourself here. Later on in the day, my friend and I stopped by a smoothie stop. No, I did not have my mason jar on me, so I used a plastic cup AND plastic straw *screams and cries in plastic* Just arrest me already, plastic police. On day seven, I enjoyed my Sunday by no longer stressing about plastic constraints; I made my own homemade all-purpose cleaner, and ended the challenge with ice cream. After some errands, I had a more substantial meal at brunch — all good and all plastic-free. I also attempted to make my own homemade all-purpose cleaner. 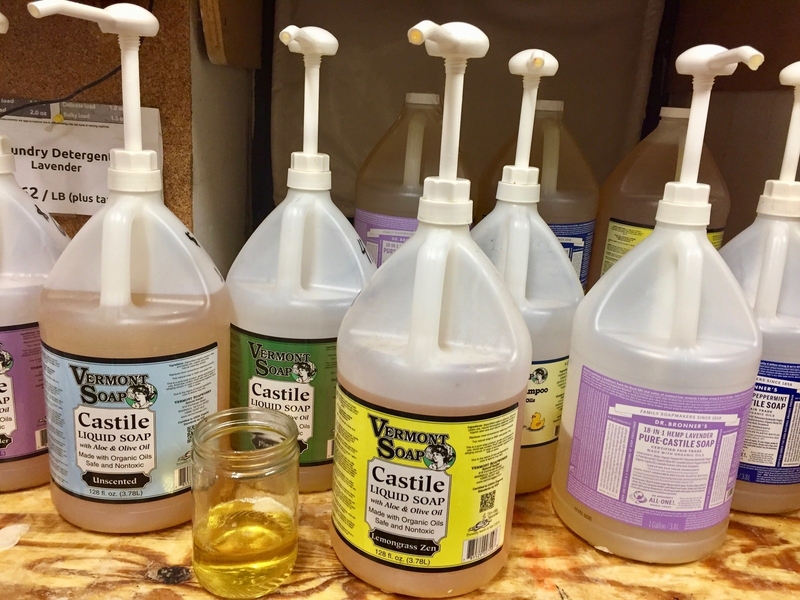 A little over a cup of castile soap cost me less than $3 in bulk and yielded enough to make the all-purpose cleaner and hand soap, with some leftover. I used this recipe for hand soap inspiration and this recipe for all-purpose cleaner inspiration. I was feeling super #thrifty and was living my best DIY Pinterest life. And on the final evening, there was ICE CREAM and congratulatory tears shed for me, by me. Apart from the initial prep and budget required to make these changes, living plastic-free was relatively easy and affordable once I got into the swing of things. Above all, making these changes provided me with a sense of urgency, buying power, and a real-life handle on tackling environmental changes. The downside? I will say that I experienced some mental exhaustion in the beginning of the challenge if only because I became borderline obsessive about plastic. It's like my brain was in ~AVOID PLASTIC~ mode 24/7, making it hard to just go with the flow. And TBH, I was kinda hesitant about embracing this lifestyle because parts of it can speak to privilege or exclusion. Reading blogs and watching videos sometimes felt like I was being lured into a bubble of first-world problems where scouring the earth for bulk cacao nibs is a noteworthy #struggle. But at the end of the day: I knew I also had the time, energy, and resources to find everything I needed to do so. If you're in more rural areas or even in urban neighborhoods where fresh produce is scarce, going plastic-free would probably be a bit more difficult. After all, one of plastic's biggest selling points is convenience. When my week was done, I came away knowing I wanted to keep certain habits going for as long as I could. 🚫 No more plastic water bottles unless absolutely necessary. A return to the Brita filter life, maybe? ♻️ Find ways to reuse plastic items I already have instead of just disposing of them. ✅ COMPOSTING! This isn't necessarily a huge facet of plastic-free lifestyle, but I found that tracking my plastic footprint forced me to acknowledge other ways in which I produce unnecessary waste in my life. And for me, one of the more significant sources stems from the kitchen. 🚫 No more produce bags at the grocery store. I always felt these were a little unnecessary to begin with, especially since I wash my produce before cooking anyway. 💅 Bamboo toothbrushes feel luxury AF so I'll probably want to keep using them. 👀 I'm gonna try making my favorite snacks before buying them. Snacks aren't vital to my livelihood (OK, maybe a little), but if I can find ways around enjoying them without feeling the plastic-guilt, all the better. 1. Eat real food, not food wrapped in plastic. Processed food, convenience food and to-go food almost always comes in plastic wrappers and containers. Real food you cook yourself does not. 2. Ban the bottle. Stop buying water, soda, energy drinks, juice and other beverages packaged in plastic bottles. 3. Opt out of single-use plastic: Say no to plastic shopping bags; plastic straws and stir sticks; plastic utensils, plates, and cups; and other disposable plastic items.